DETROIT — The U.S. is seeking to forcibly limit how fast trucks, buses and other large vehicles can travel on the nation's highways. A new proposal Friday would impose a nationwide limit by electronically capping speeds with a device on newly made U.S. vehicles that weigh more than 26,000 pounds. Regulators are considering a cap of 60, 65 or 68 mph, though that could change. Whatever the speed limit, drivers would be physically prevented from exceeding it. 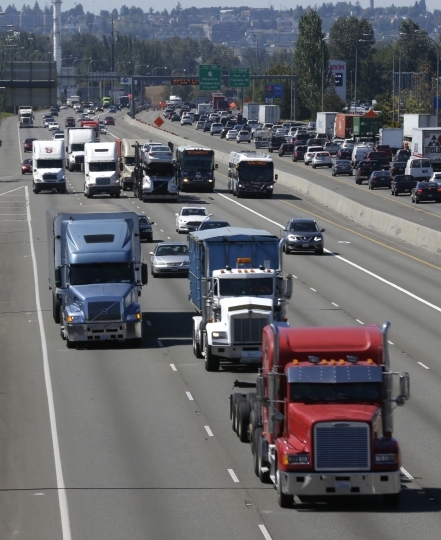 The proposal, which comes from the National Highway Traffic Safety Administration and Federal Motor Carrier Safety Administration, does not force older heavy vehicles to add the speed-limiting technology, but the regulators are still considering it. 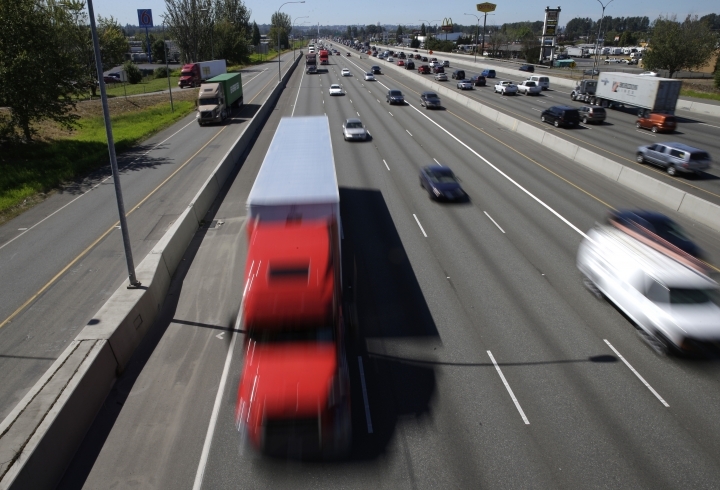 The government said capping speeds for new large vehicles will reduce the 1,115 fatal crashes involving heavy trucks that occur each year and save $1 billion in fuel costs. While the news is being welcomed by some safety advocates and non-professional drivers, many truckers said that such changes could lead to dangerous scenarios where they are traveling at much lower speeds than everyone else. The rule has been ensnared in a regulatory maze in the decade since the nonprofit group Roadsafe America issued its first petition in 2006. The group was founded by Atlanta financial adviser Steve Owings and his wife Susan, whose son Cullum was killed by a speeding tractor-trailer during a trip back to school in Virginia after Thanksgiving in 2002. The nonprofit was later joined by the American Trucking Associations, the nation's largest trucking industry group. Owings said he will continue to push NHTSA to force older heavy vehicles to limit their speeds. "We are dismayed and outraged to learn the proposed rule will be for newly manufactured trucks and will not apply to the millions of trucks with which we continue to share the roads today," he said. NHTSA said retrofitting vehicles made after 1990 with the speed-limiting technology could be too costly, and it is still seeking comments and additional information. NHTSA said it could cost anywhere from $100 to $2,000 per vehicle, depending on when the vehicle was made. Changes to some engines could also be required, increasing the costs, NHTSA said. Heavy vehicles made before 1990 don't have the capacity to add the technology. The government agencies involved will take public comment for 60 days, then determine the final limit and decide if the regulation should be put in place. To James Chapman, a big rig driver from Spartanburg, South Carolina, 68 mph would be the best option and he'd accept 65. But 60 would be too big of a difference from cars that go 75 or more. "To me it would be a safety hazard unless it slowed everybody else down," he said while refueling his truck Friday along interstate 75 near Findlay, Ohio. The agencies said that limiting the speed of heavy vehicles to 60 mph could save as many as 498 lives annually. Limiting it to 65 mph could save as many as 214 lives, and limiting it to 68 mph could save as many as 96 lives. 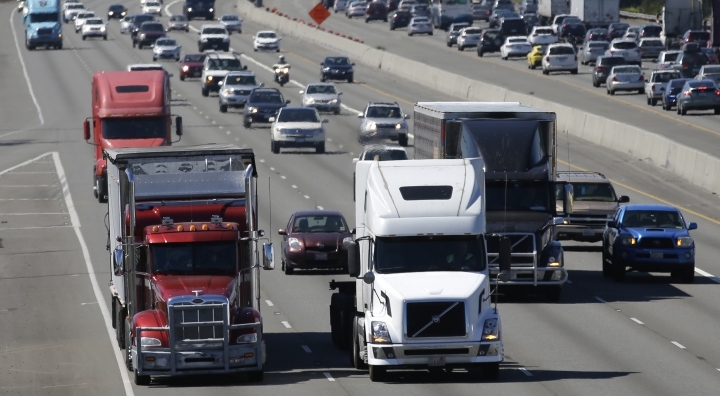 There are 3.6 million big rigs on U.S. roads. The agencies said the proposal is based on available safety data and the additional benefit of better fuel economy. 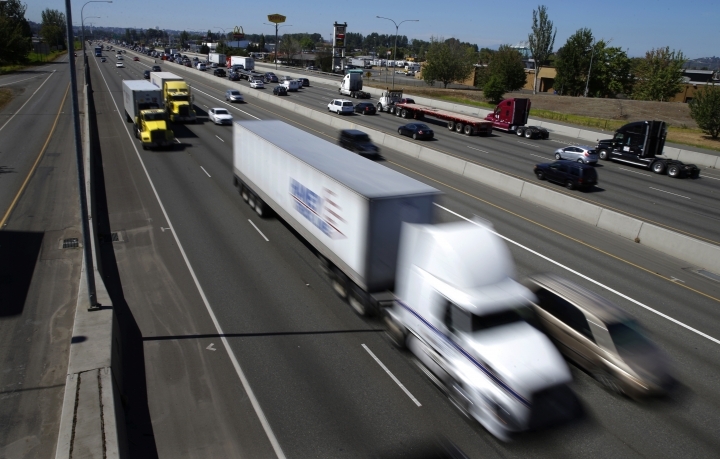 But Norita Taylor, spokeswoman for the 157,000-member Owner Operator Independent Drivers Association, said her group has opposed the speed limiters because they create dangerous interactions between vehicles as faster cars slow down for trucks. "Differentials in speed increase interactions between vehicles, which increases the likelihood of crashes," Taylor said. Yet there is another compelling reason to limit truck speeds. An investigation last year by The Associated Press found that 14 states have speed limits for big trucks that are equal to or higher than their tires were designed to handle. Most truck tires aren't designed to go faster than 75 mph, and tire manufacturers say traveling faster than that can cause tires to fail and blow out, creating safety issues. Most of the states with the higher speed limits are west of the Mississippi River. Of the 14, five have speed limits of 80 mph or more and allow trucks to exceed the capability of their tires. NHTSA has said the speed limiters should take care of the discrepancy between state speed limits and truck tire capabilities. Most of the states with speed limits of 80 or above either didn't know about the truck tire speed ratings or didn't consider them. States set their own speed limits, having been given sole authority to do so by Congress in the mid-1990s. This story corrects Owings' first name to Steve. AP Business Writer Joseph Pisani contributed to this story from New York.